Babies, models and gorgeous nursing gear - Made in Canada! We were thrilled when owner, Holly McKeon reached out to us to orchestrate a lifestyle photo shoot to kick-off her Spring campaign. 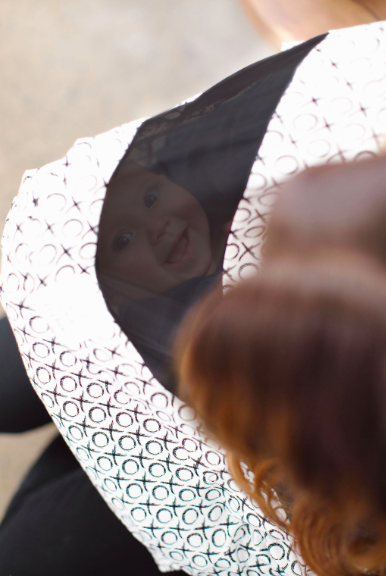 Her 3-in-1 nursing accessories act as car seat cover, nursing blanket and stylish poncho. The built in mesh allow mothers to keep an eye on their baby, protect them from harmful rays while ensuring there’s plenty of ventilation as they stroll in style. No brainer! Seeing as her products are designed, sourced and produced locally using high-quality textiles and materials - we opted for a more natural, brightly lit setting using wooden elements and lush accent plants to reflect her warm & “cozy” brand. As always, our team opts for cruelty-free beauty and styling products for getting our models camera-ready. Launching a new brand or wanting to revamp an existing one? Let’s talk!